Our summer festival season has drawn to a close, and we’re in the midst of looking over what we’ve learnt. 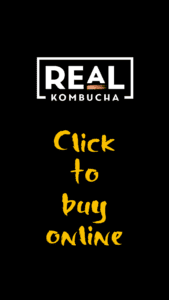 Part of this process involves sifting through questions we’ve answered during our time chatting with customers, and one that came up again and again concerning UK kombucha was this: there are so many kinds on the market these days, so what’s the difference? UK kombucha brands: what’s the difference? 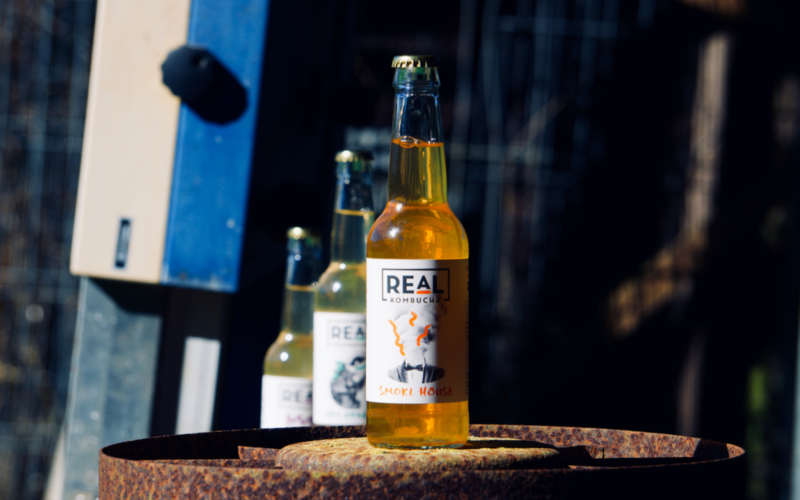 You’ll also find kombucha served as a soft drink, and there has certainly been a boom in the number of UK kombucha brewers that create fridges full of anything from cola kombucha to elderflower kombucha to the ubiquitous ginger kombucha. This is the kind of thing we’re starting to see migrating from health food shops to supermarket shelves. By our count, there are upwards of 20 UK kombucha brands brewing and selling flavoured kombuchas of this nature. When we started brewing kombucha in 2015, you could count that number on one hand. The third category is where Real Kombucha sits. While we find the growing understanding around gut health fascinating, and we always have some of our favourite flavoured kombuchas in the brewery fridge, it’s kombucha’s potential as an alcohol replacement that really drives our passion. I say ‘potential’, suggesting that it’s something for the future, but we’re seeing that potential being fulfilled right now. 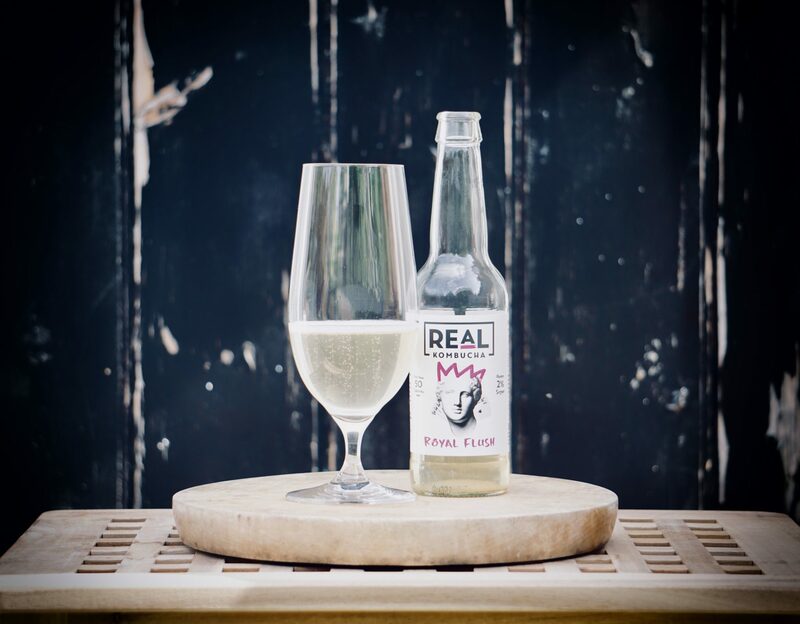 Real Kombucha is being served as an arrival drink at L’Enclume, it forms the kombucha flight of non-alcoholic drinks at Heston Blumenthal’s Fat Duck, it’s being served in close to 50 Michelin-starred restaurants across the country, including Restaurant Nathan Outlaw, Britain’s newly-crowned number 1. In the last week, we’ve announced our partnership with Fullers, which, in addition to our work with Laine’s pubs, Revere pubs and Barworks, means we’re now listed with over 300 pubs across the country. The way we see it, if you can take a grape and turn it into a Shloer or a champagne, then you can do the same with tea. There’s nothing inherently right or wrong with either Shloer or champagne – each do a great job at their respective drinking occasions. Similarly, you can ferment a kombucha as a wonderful non-alcoholic Prosecco, or you can ferment it as a drink for a picnic on a summer’s afternoon. So, you can see why UK kombucha brewers keep doing what they’re doing. It’s an amazing drink and it’s taking this country by storm. The chances are that, wherever you are, there’s a kombucha waiting to be cracked open in your vicinity. The Booch Boom is well underway.